Base yourself near the heart of Hilton and leave the running around for more noble pursuits — like knocking back a bevvy or two. 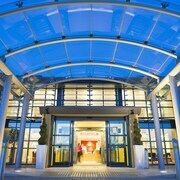 You'll find 2 hotels to pick from within 5 kilometres of the centre on lastminute.com.au. Planning a few nights on the town? Save yourself the taxi fares and snag a room at central hotels such as the Dovecliff Hall Hotel and Blenheim House. If you don't mind sleeping 15 kilometres away from the downtown area, look into the neighbourhood of Melbourne. 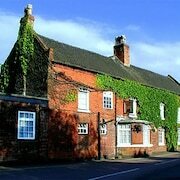 It has 2 options available, including the Harpur's of Melbourne and The Coach House. Want more options? 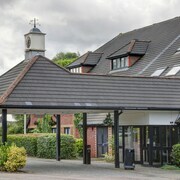 The Wychnor Park Country Club by Diamond Resorts can be found 16 kilometres from central Hilton, and the Breadsall Priory Marriott Hotel & Country Club is 17 kilometres away. 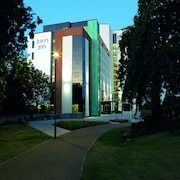 The Priest House Hotel, 17 kilometres away, and the Hilton Burton St Georges Park, 10 kilometres away, are some other options. Looking for things to do? Consider spending some time visiting the Elvaston Castle and Wyvern Business Park. You'll find them in Derby, 12 kilometres to the northeast of Hilton. 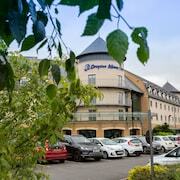 Derby hotel options are the Hallmark Hotel Derby Midland and Holiday Inn Derby Riverlights. 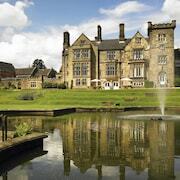 Alternatively, you could stay in Belper, 20 kilometres to the northeast of Hilton, where you can choose from the Clarion Collection Hotel Makeney Hall and Bridge Hill House. Denby Pottery and Wingfield Manor are up there with the most popular points of interest to check out for those visiting Belper. 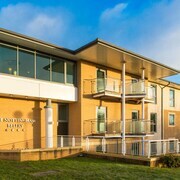 Loughborough is located 30 kilometres from Hilton and has a population of 59,000. When you're in the region, you'd be nuts if you didn't have a gander at the Loughborough University, the Charnwood Forest Golf Club and the Longcliffe Golf Club. If you've got time to spare, keep the good times rolling with a visit to the John Taylor Bellfoundry Museum and the Loughborough Town Hall. There's an awesome selection of available hotels in Loughborough, with The Hunting Lodge - Restaurant with rooms and Caravelli topping out the list. After sleeping upright for hours, a seriously cosy bed at the Donington Manor Hotel will be bliss! 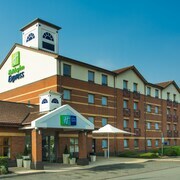 If that's chockers, check out the Holiday Inn Express East Midlands Airport. 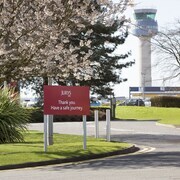 Both are within easy reach of East Midlands Airport, which is 20 kilometres from the centre of town.